Of all types of linens used for commercial purposes, those used in the medical field have got to be the most overused and the most demanding on maintenance. Those scrub suits, hospital gowns, lab coats, and medical towels don’t only get used by so many people after another; it is, more importantly, exposed to dangerous substances that range from bodily fluids to disease-carrying substances. Because of the demands of the industry, these medical linens and apparels have to be of the highest quality – the kind that is able to provide both protection and comfort to its wearer. And more importantly, the linens should be handled and maintained properly to keep it clinically safe. Tritex Services offers high quality, medical-grade linens, and commercial laundry services that pass the highest of industry standards on safety and hygiene. 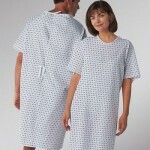 Tritex Services offers patient gowns of all kinds and sizes that can accommodate all sorts of patients. The available gowns range from pediatric gowns, youth gowns, standard gowns, obese gowns, mamo gowns, and IV gowns among others. 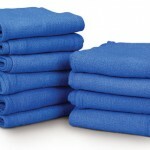 Medical-grade laundry service for patient gowns is also available. Hospitals use different types of towels and Tritex Services offers each one of them. High quality doctor’s towels, bath towels, hand towels, and wash cloths are now available for supply and servicing. Only an experienced expert in medical linen services like Tritex Services can handle all the critical demands of laundering them to achieve medically-accepted cleanliness Tritex Services offers laundry service for scrub suits, lab coats, warm up jackets, and fluid-resistant coats. Hospital sheets and pillows/pillowcases are critical items not only because of the types of stains they are subjected to, but also because they have to be changed and cleaned every so often. Tritex Services offers regular supply of a variety of hospital linens from draw sheets, single sheets, fitted sheets, and standard pillow cases.